John Henry Twachtman, Winter, undated. Oil on canvas, 21 5/8 x 26 1/8 in. The Phillips Collection, Washington, D.C. Acquired 1920. 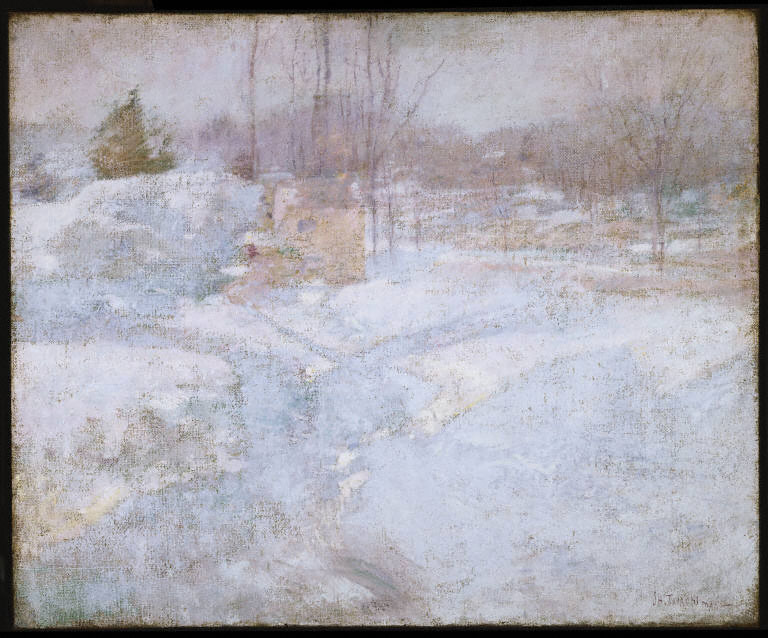 D.C. may not look like this yet, but if the flakes keep falling, Connecticut Avenue may begin to resemble Twachtman’s Winter (undated). This entry was posted in Experiment Station and tagged snow, Twachtman, winter. Bookmark the permalink.